Ted Wood's manager at AA Shreveport in 1990 noted a marked improvement that year for the outfielder and traced it to off-season work Wood did with a weight training and conditioning expert, according to The Tulsa World. The World noted Wood had six home runs by late June after hitting no home runs the previous year, his first as a pro. "His added strength has had a positive effect on every aspect of his game," manager Bill Evers told The World after a 3-1 win over Tulsa fueled by Wood's bat. Wood went on to use his added strength to make the majors over three seasons with the Giants and the Expos. He'd used what strength he had previously to help the United States to the 1988 Olympic baseball gold medal. Wood's pro career began in 1989, having been taken the previous year by the Giants in the first round of the draft out of the University of New Orleans. At New Orleans, Wood made the 1987 U.S. Pan-American Games team that won silver. Wood helped the U.S. into the medal round with an 11th-inning home run against Puerto Rico. "When I hit the homer, it was a great feeling," Wood told The Associated Press after the Puerto Rico win. "It was a long game and we just wanted to get out of here." Wood then came back and made the U.S. Olympic team in 1988. He knocked two doubles in a win over Korea. He went into the gold medal game with a .467 average. Wood then started with the Giants in 1989 at Shreveport. He hit .258 with no home runs. He then returned to Shreveport in 1990 to hit .265 and 17 home runs. He made AAA Phoenix in 1991, hitting .311 with 11 home runs. That September, he made San Francisco. He got into 10 games, getting just three hits in 25 at bats. He struck out four times in one game against the Reds. Wood got into another 24 games for the Giants in 1992, hitting .207. He broke his finger in August after being hit by a pitch, but he returned to play in September and hit his only major league home run. Taken off waivers by the Expos in 1993, Wood returned to the majors for a third and final season that year. He got into 13 games, hitting just .192. 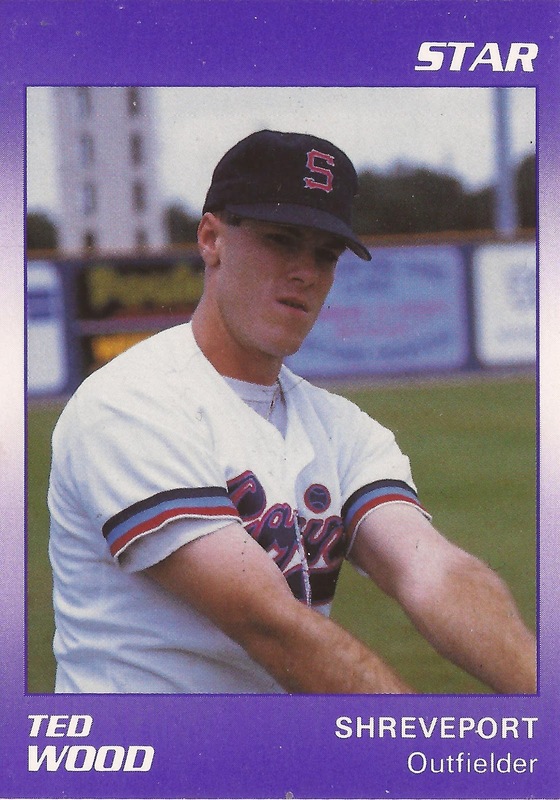 Wood returned to the minors, playing 1994 and 1995 at AAA Ottawa with the Expos. He played 1996 in Mexico. After not being credited as playing in three seasons, Wood returned to the field in Korea for Lotte. He hit .255 over 35 games, ending his career. Wood has since settled in the Atlanta area, serving as a financial advisor with Morgan Stanley.